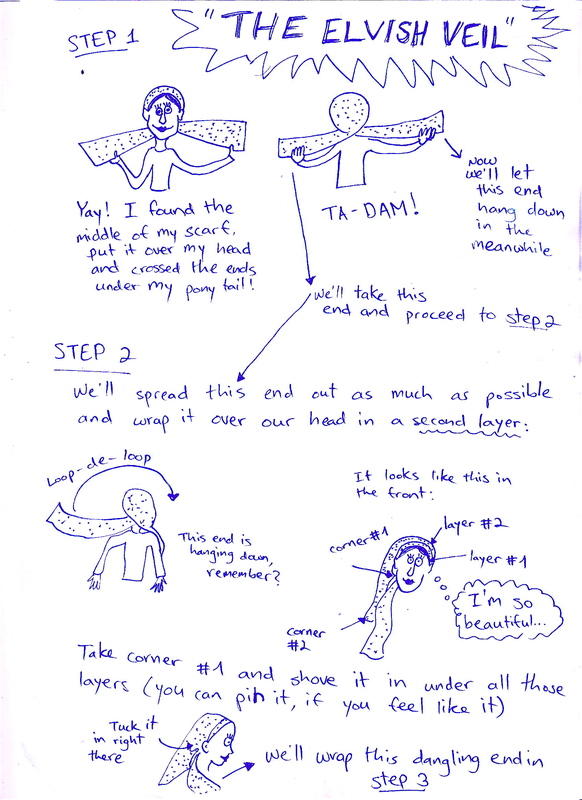 A friend of mine recently contacted me with some innovative scarf tying ideas. 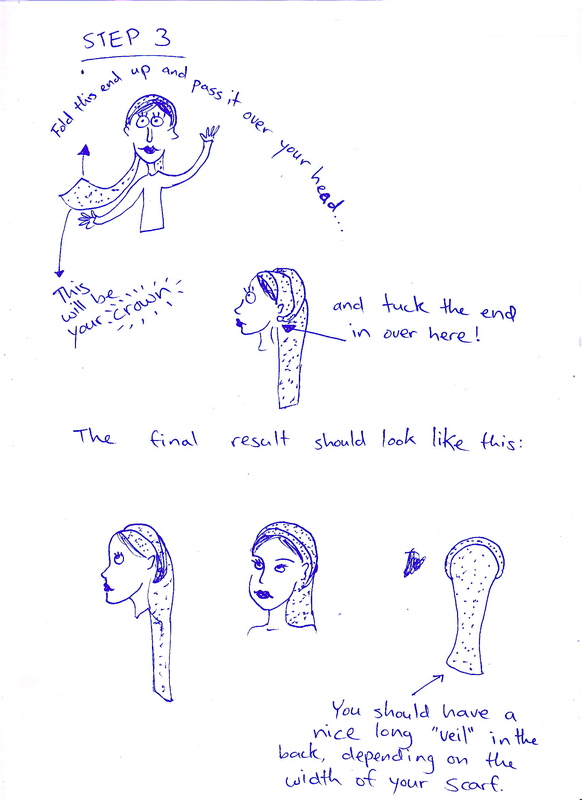 She didn’t want her face on the internet, so instead, she drew instructions for us! Aren’t they adorable? Can’t wait to try ’em! And here is the second one! ← Lady Wrap Star: Batsheva! 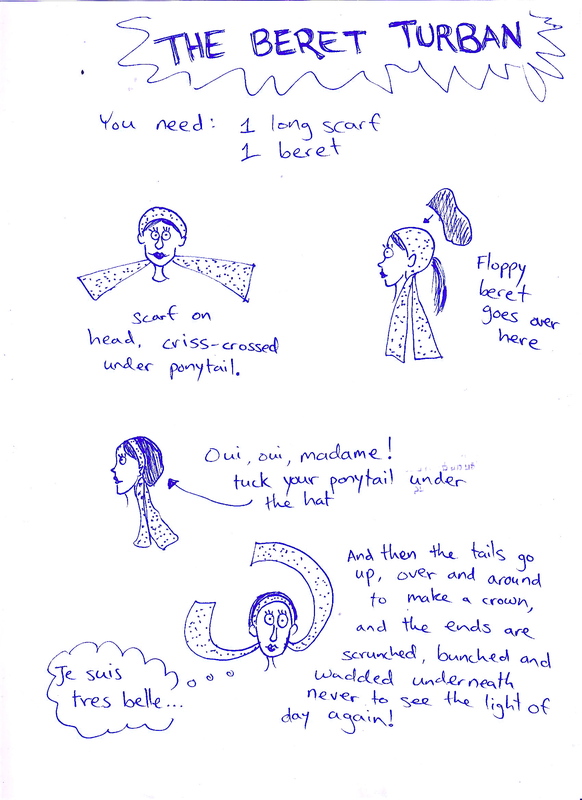 I, too have a special beret that a friend gave me, I think I will try this now! Let’s put it in the post about you, ok? The cartoons are fantastic. Love the instructions. The beret idea is great. I use to do that when I first got married and forgot about the look. Glad this reminded you of it! I can actually see the terms people use to search this site… so I will let you know! I went fishing yesterday and started to wear a simple tichel, but since I had skin cancer, surgery and reconstruction,I was warned not to get my nose sunburned. A straw hat didn’t fit over the tichel, and I have a lot of hair. So I tried a baseball cap and then wrapped a turban tichel over it. It worked a lot like this beret post idea, and saved me from more sunburn! 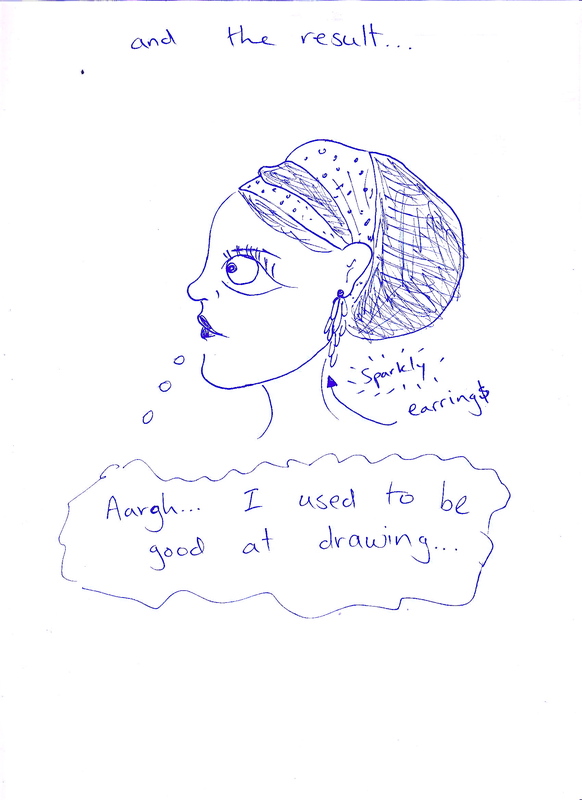 I LOVE your site, so inspiring! Gd bless you lovely women.